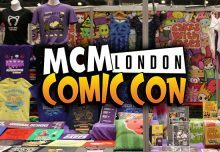 Come and see us at MCM London Comic Con on 25-27 May 2018 at ExCel London! 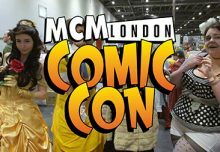 MCM London is the UK’s largest comic con. If you only go to one comic con, this is the big one! Last time there were over 130,000 people – it’s absolutely huge. You’re guaranteed to see hundreds of cosplayers, all kinds of geeky things on the stalls and lots of other people into your fandom, however nerdy. Special guests are usually announced nearer the time when they can confirm their attendance with filming schedules, etc, but so far there’s Felicia Day, Taryn Manning and Jackie Cruz from Orange is the New Black and voice actors from Mass Effect, Disney, South Park and Crash Bandicoot. Come and find Cakes with Faces in the South Hall on booth BG3. We’ll be right in the middle, on the main walkway. I’ll be there with my t-shirts, hoodies, dresses, cushions, enamel pins, sushi comics and accessories. All cute, all colourful – take a look at everything in the shop. Come and say hello, and see my new designs! Comic Con takes up both sides of ExCel. The floorplan below shows you where find Cakes with Faces in the South Hall on BG3 (go in door S5). Several people said they couldn’t find my stall last time, so I’m going to try and do a livestream on Facebook on Friday morning, to show you where to go. 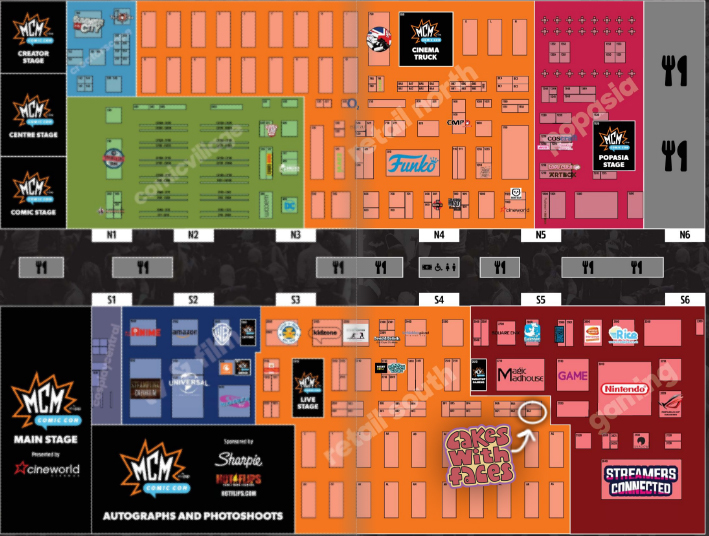 You can take a closer look at the floor plan in the official show guide. 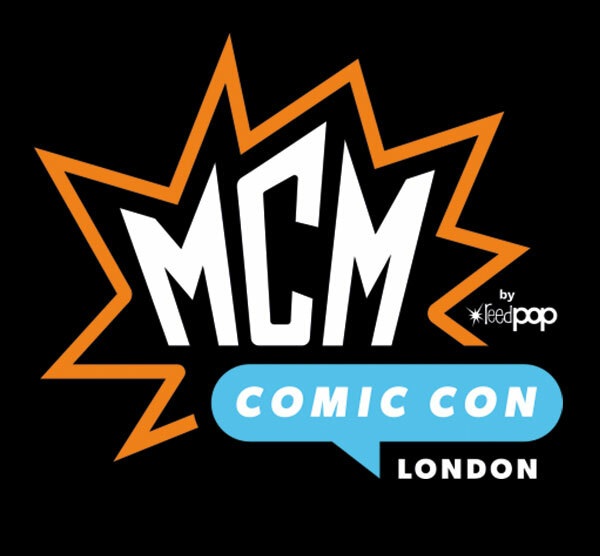 You can get tickets from the MCM store. There are single day or weekend tickets. Choose from priority entry or general entry. Priority entry gets you in 2 hours earlier than general entry. I always recommend getting your tickets in advance in case they sell out. There can also be queues on the day – it’s a busy show with lots of people! Friday is always the quietest day, and Saturday is usually the most crowded, especially around the middle of the day. See what it was like last time in my video from October. London Comic Con’s on twice a year, in May and October. They’re both the same size – there isn’t a “main” one- but the guests are different every time. There are lots of regular exhibitors and stalls, and new ones too. 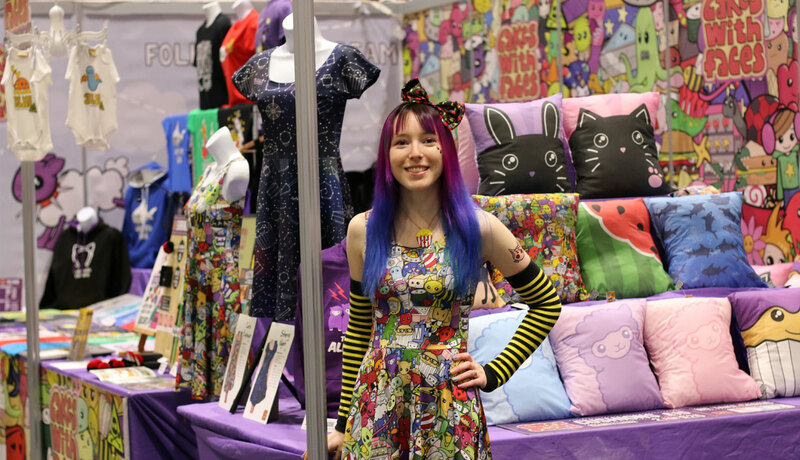 Last time was a bit of a struggle for me as I was poorly and lost my voice, which made it really difficult to be on the stall and I truly don’t know how I made it through the weekend. Sorry if you came along and I couldn’t chat much – fingers crossed it doesn’t happen again this time! I always love meeting you guys so do come along and say hello – and maybe you can be in the video too!